East shore of Chebeague Island south of the Chebeague Island Boat Yard. Access is permitted by boat to the beach adjacent to the boatyard. Parking is available in the boatyard parking lot for island residents and visitors. Protected for its significant scenic, aesthetic, and ecological values, the property will remain in a substantially undisturbed natural state and provide scenic enjoyment to the public when viewed from the waters of Casco Bay. The upland and intertidal areas at Rose’s Point have been used by the public for recreation and boating for generations. It includes a beautiful barrier sand beach with a large freshwater pond located behind it. Rose’s Point was protected in response to a subdivision envisioned for the property by its owners. After a lengthy negotiation, the owners agreed to a conservation easement to protect the environment and preserve public access as part of the project. The easement was originally held by the Oceanside Conservation Trust of Casco Bay until CCLT became officially incorporated. 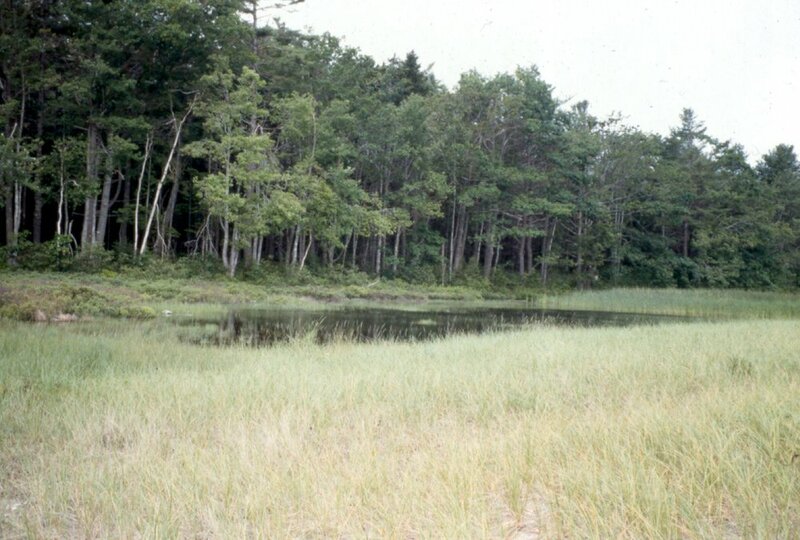 The conservation easement preserves the overall appearance of Rose’s Point from the waters of Casco Bay, and protects the pond and shoreline habitat areas. It also ensures that public access will always be welcome on the beach. Thanks to the owners, the spectacular autumn view of Rose's Point with its backdrop of swamp maples and expanse of white sand abutting the sparkling blue ocean will remain a constant for generations to come.